Some of our trips are more memorable than others thanks to the people we meet along the way. But quite often it is thanks to a good trip organiser. For those professionals who have made our travelling experiences that much better, we would like to share their information and our experiences with them. Below are listed operators with whom we have good stories to share. NB: These are NOT sponsored reviews. Opinions are our own. 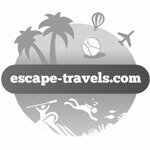 Escape Travels (also known as Escape Dubai) is a company founded and run by a couple whom also happen to be passionate travellers. Alison and Fajer are personable organisers that make sure everyone who joins their trips will have a good time. They coordinate extended weekend getaways from Dubai. We loved our experience with them and everyone who we met on their trip. To sum things up: Great adventure and people! 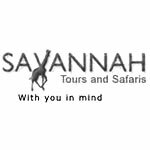 Cliff from Savannah Tours Limited can help you organise your dream holiday in Africa, no matter if it is trekking remote footpaths of Kilimanjaro or an exclusive safari experience. The service is professional all the way and tour operator makes sure that everything goes well from the moment you arrive until departure. Guides and drivers are experienced and add to the adventure. Polish language tour guide. Firma Mediusz z Krakowa znajmuje się organizowaniem wypraw trekingowych w nieznane. Jeśli chcecie odwiedzić Gruzję lub Armenię i przeżyć niesamowitą górską przygodę w Kukazie warto skontaktować się z Andrzejem, który specjalizuje się w tym regionie i jego kulturze. 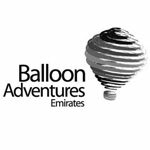 Ballon Adventures Emirates offers fun hot-air balloon rides over the UAE desert with passenger pickup from anywhere in Dubai. Impeccable views and memorable experiences are guaranteed. Pilots are well trained and experienced. Trip starts around 5 am and you are back on the ground in time for a late breakfast. Even if you are not a morning person, it is worth the early wake-up to experience floating 1000 metres above the desert!